Healthy real love is defined by the presence of observable and measurable behaviors which validly and reliably produce the known constructive and healthful results of love. 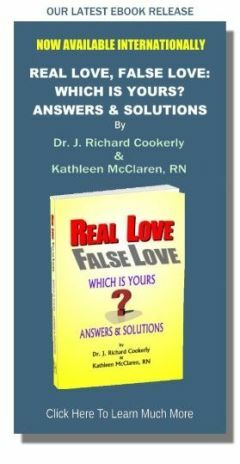 Conversely love deficiency is said to be occurring when there is an absence of the observable and measurable constructive and healthful behaviors of love, or there is the presence of observable and measurable behavioral malfunctions related to love deficiency. 1. Tactile loving behaviors, all forms of loving affectionate touch including holding, hugging, stroking, caressing, cuddling, again and sexual touch when done with love. 2. Expressional loving behaviors, includes loving facial expressions, tonal expressions, gestural expressions, and postural expressions all conveying love. 3. Verbal loving behaviors, includes all spoken and written words meant to convey love. 4. Gifting loving behaviors, includes all object gifts, experiential gifts and favors done for the purpose of conveying love. 5. Affirmational loving behaviors, involves all behaviors which work to express to the loved that they are highly valued, of considerable importance, of much worth and are extraordinarily special. This may include praise, complements, supportive actions, special treatment, honoring, sensitivity to individuality, showing interest, positive challenge and a great many other affirming actions. 6. Self-disclosure loving behaviors, involves the often intimate sharing and revealing of one’s real thoughts, feelings, actions, history, hopes, plans, involvements, habits, body, shortcomings, victories, failures, idiosyncrasies and anything else which reveals the true nature of the self. 7. Tolerational loving behaviors, involves being tolerant of and demonstrating the acceptance of a person manifesting less than desirable current or former actions, thoughts, feelings traits, tendencies, desires and characteristics, and often includes showing patience, understanding, forgiveness, forbearance, mercy, receptivity, lenience, indulgence, clemency, empathy, benevolence and altruism. 8. Receptional love behaviors, has to do with showing positive active reception of love demonstrations and any other positive actions shown to you or done on your behalf. Receptional actions may be accomplished via behaviors from any of the above seven categories. 9. Nurturing loving behaviors, including care-giving, emotional reinforcement, supportiveness, sustenance provision, relief giving, advocacy, training and education, guidance, bonding experiences, plus any and all actions which may help sustain or advance a loved one in their well-being. 10. Protective loving behaviors, involves safeguarding, defending, sheltering, preservation and conservation actions, guardianship, prophylactic action, etc. 11. 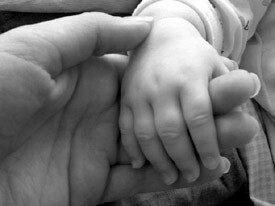 Healing loving behaviors, involves any and all actions which have a healing effect including medicating, cleansing, healing touch, comforting, nutritional health provision, therapeutic treatment, recuperative assistance, exercise assistance, etc. 12. Metaphysical loving behaviors, involves attempting to send or give love by way of transcendental, ontological, spiritual and religious behavior which may include intercessory prayer, projective meditation, enacting rituals, conducting ceremonies, singing, chanting, citation, liturgical dance, doing spiritual readings, etc. It is important to remember that the above behavioral categories for showing, demonstrating, giving and getting love have been but very briefly introduced. A great deal more concerning each of them can be learned to truly understand them. Also true is the fact that a great deal more can be practiced to enact them well. Also remember that each of these categories produces differing positive physical and psychological results. The next installment in this series is: What About a Scientific Definition of Love?